This year’s Whitley lecture “Gospel, Church and Social Transformation: Post-Soviet Baptists After the Ukrainian Revolution of Dignity and Freedom, 2013-14” will be delivered by Dr. Joshua Searle (right) Tutor in Theology and Public Thought at Spurgeon’s College, UK. Delivered at four different venues the lecture draws on Dr. Searle’s deep understanding of the history and contemporary challenges facing Christian communities in eastern Europe. The armed conflict between Russia and Ukraine has resulted in a humanitarian catastrophe and the conflict has created more than 1.5 million refugees. There is clear evidence that Ukraine’s Baptist community is suffering disproportionately, as Baptist Christians are specifically targeted by pro-Russian forces. In this lecture, Joshua will attempt to show how the Baptist community in Ukraine can respond to this crisis by developing a new vision of hope and reconciliation that can have a leavening effect on the whole of society. He also plans to explain the relevance of this issue for British Baptists by addressing the roles and responsibilities of the free churches in relation to the state and society, and by considering what we can learn from the suffering witness of our Ukrainian counterparts. Post-delivery copies of the lecture will be available for purchase here. A pre-delivery summary of the lecture is available here. 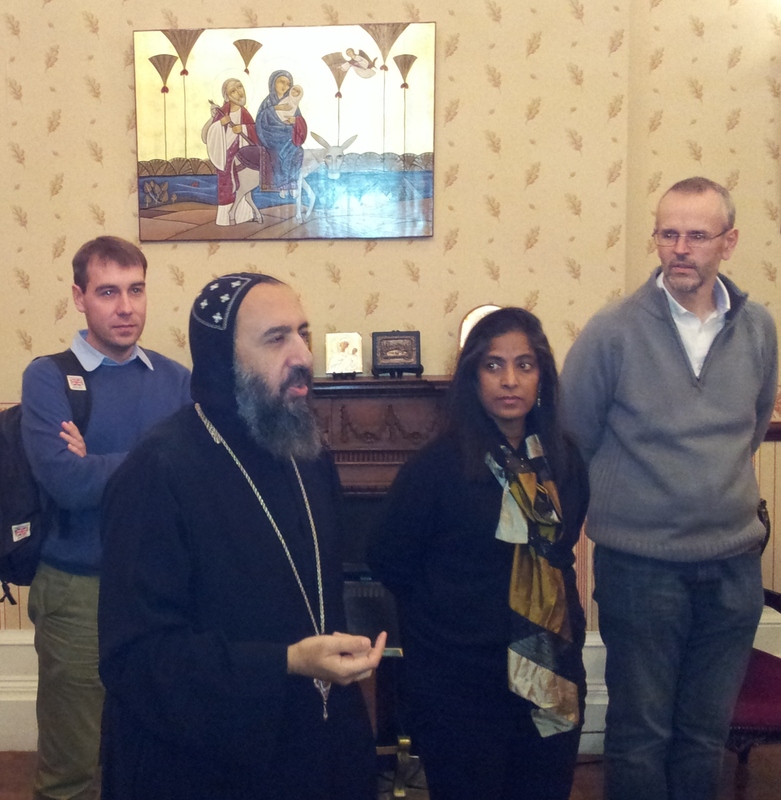 Building on solid foundations laid at three previous international consultations in Albania (2013 & 2014) and Finland (2015), the Steering Committee of the Lausanne-Orthodox Initiative (LOI) met at The Coptic Orthodox Church Centre in the United Kingdom last week to plan its work for the next three years. The LOI Steering Committee brings together members from Albania, Austria, Egypt, Ghana, India, FYR Macedonia, Romania, the USA and the UK, and is co-chaired by His Grace Bishop Angaelos, General Bishop of the Coptic Orthodox Church in the United Kingdom, and Mrs. Grace Mathews, Vice Chair of the Board of Directors of the Lausanne Movement. The steering committee met 20-22 January 2016 to reflect on achieving the goal set out in its mission statement “to work towards better understanding, and encourage reconciliation and healing where wounds exist”. While wrestling with division and hurts within the Christian family of Churches which date back decades, the group discussed matters concerning the contemporary missional context of forced migration, ethnic cleansing, civil war and the consequential suffering and poverty in many parts of the world. Having heard directly from the beleaguered Christian community in Aleppo during a recent consultation, the gathering was particularly inspired by the martyrs and saints of contemporary Syria, Iraq and across the Middle East, and prayed for them, and also for those who find themselves refugees in Europe or elsewhere. Reflecting on the suffering of people from many different Christian traditions across the nations of the Middle East, participants called for ever greater solidarity between Orthodox and evangelical leaderships and believers. The suffering shared by Christians and non-Christians alike formed the background for a reflection on the call to all Christians to become ambassadors of reconciliation (2 Corinthians 5:16-21). Members of the Steering Committee also reflected on the considerable progress made since the launch of LOI in 2012, one product of this being the publication late last year of The Mission of God: Studies in Orthodox and Evangelical Mission (Regnum Press, 2015). Alongside group sessions, the committee shared in a regional united act of worship with Church leaders and communities from around Hertfordshire as part of the Week of Prayer for Christian Unity. During 2016-18 LOI will move into a new phrase of its work as it begins to support regional and topic specific consultations alongside the on-going work of advocating for understanding and reconciliation in many different contexts. The first regional consultation will be held in the Horn of Africa in the autumn of 2016 at which participants will be welcomed by local Orthodox and evangelical communities. The first topic specific consultation will focus on the formation of missional leadership within our different Christian traditions and will take place in Cambridge, UK in the autumn of 2017. The next LOI international consultation will be held in 2018. A printable version of this statement is available here. At recent LOI consultations it was been clear that the Gospel requires us to be active ministers of reconciliation both in the wider community and within the Body of Christ. At our 2015 consultation Lisa Loden was one of those helping us to address this challenging topic. 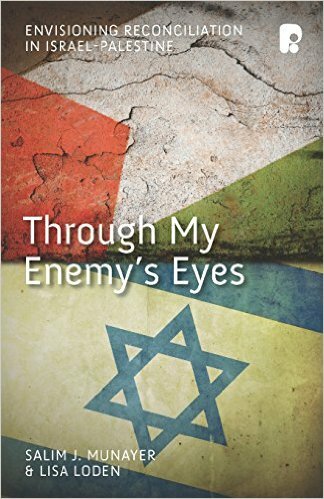 Now, as Christians from Jewish and Palestinian backgrounds, Lisa has teamed up with Salim Munayer to give us Through my Enemy’s Eyes. This book addresses the universal theological dimension of reconciliation in the context of the Israeli Messianic Jewish and Palestinian Christian divide. Palestinian Christians and Israeli Messianic Jews share a belief in Jesus as the son of God and Messiah. Often, though, that is all they have in common. This remarkable book, written in collaboration by a local Palestinian Christian and an Israeli Messianic Jew, seeks to bridge this gap by addressing head on, divisive theological issues (as well as their political implications) such as land, covenant, prophecy and eschatology which separate their two communities. The first of the “Engaging Orthodoxy” series of lectures at North Park University, Chicago, USA, will be delivered by the renowned Greek Orthodox scholar Metropolitan Kallistos Ware. Those unable to attend the lecture will be able to participate through the live-streaming of this important event. Metropolitan Kallistos will present an Eastern Orthodox understanding of the Gospel and offer practical guidance on how local churches may keep it clear and central for each generation. The three respondents will be Fr. 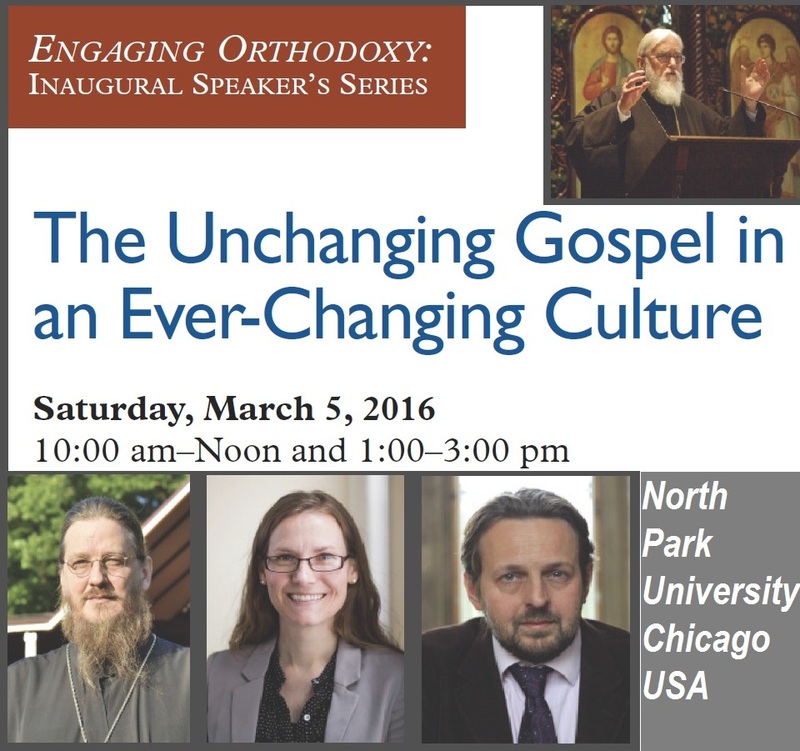 John Behr of St. Vladimir’s Orthodox Seminary, Dr. Hauna Ondrey of North Park University and Dr. Marcus Plested of Marquette University. The lecture will be moderated by Dr. Brad Nassif an active member of the Lausanne-Orthodox Initiative.